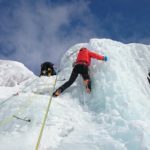 Join one of the AMGA-guides in our team on an exhilarating half-day ice climbing excursion in the Green Mountains in Vermont! 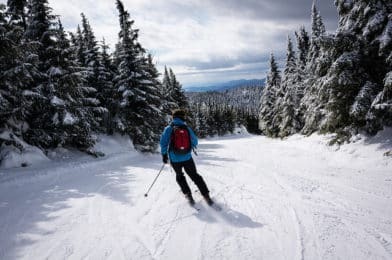 Vermont is a well known destination for winter sports. The beautiful green mountains provide plenty of options for all sorts of snow white fun. On our half-day ice climbing excursions we offer you the chance to try some challenging ascents in either Killington or Smugglers Notch! Both locations are well suited for adventurers seeking exhilarating experiences. But you don’t need to have a lot of experience to enjoy this excursion. We will adapt the itinerary to your level and show you the ropes. If you are a beginner, we will teach you the necessary techniques to try some more simple ascents. 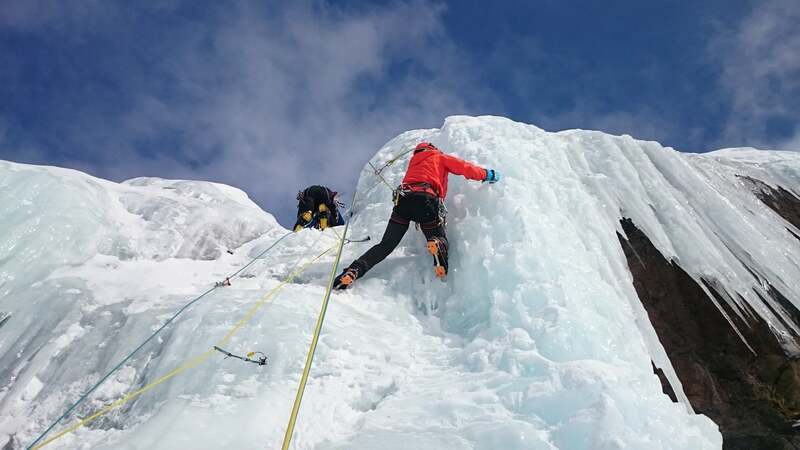 On the other hand, if you have some experience ice climbing, we can take you to some more challenging spots. Regardless of your level we will be there every step of the way to ensure that you have a great ice climbing experience. Of course, you will also be able to enjoy the unique scenery in these great winter spots! Imagine climbing up a frozen waterfall, discovering mysterious a cavern or hanging from icicles. All of these are possible options if you just know how! Safety is of course one of our number one priorities, but so is showing you just how delightful and exciting a winter wonderland can truly be! Are you ready to take on a unique challenge in the Vermont Green Mountains? Would you like to experience all the adventure that winter can offer? Then book your place and join us on this half-day ice climbing excursion that will take you up some amazing ascents! Looking for other winter sports to try in the area? Then we suggest you join us on a backcountry skiing expedition from Little Killingtone to Mendon Peak. Another option is to try backcountry skiing in the Big Jay. Whatever your preference, we are happy to show you the way! Come explore the beautiful state of Vermont in the company of one of the highly-qualified guides in our team. We'll take you skiing, climbing and mountaineering all over New England while making safety our number 1 priority. We are passionate about sharing our knowledge of the area with our clients and strive to provide unique, magical experiences in the mountains!